I gave some of the creatures a little backpack so that they were able to carry more than one item at a time. This backpack will only be used when digging out rock, roots, coal, iron and gold. Especially roots as for each root block that gets excavated 4-5 wood and rope and stone drops to the ground. Now when these blocks get excavated the creature gets all of the items stored in their backpack and hand (instead of having them fall to the ground), then the creature will have to go back and deliver the items to a storage room before he is allowed to do any further excavation. This makes the digging go a lot more faster and smoother. Not how I imagined backpacks would operate, but I think this might be better. This could also become an upgradable item later, if such a research > upgrade system is implemented. I still like the idea of wheel Barrels, but I think this might make that suggestion a little obsolete. Unless, perhaps, you do a system where back pack items are dropped off at a wheel barrel, and then taken back to a storage room, sort of another link in the chain, but that might not be needed if this speeds stuff up to a desirable amount. A small touch for the back packs, give them a little rigging, perhaps, and have them fatten up the more loot is contained within, starting small and bloating up as they fill. I think this might be a neat little touch, provided it doesn't compromise the flow of the game with an excess calculation that might slow it down. In fact, if all creatures now have these backpacks, maybe it might be best for it to be invisible until something is actually in it, that way your entire fighting force doesn't look like it's ready to go hiking all the time. The alternative to this would be considering making this an equip-able item. This could lend well to the concept of equipment dictating not only the advancement of the creature, but it's role in the dungeon. I e, if you give 7 imps a backpack, those 7 imps would be more likely to assign themselves to mining jobs. I knew it would happen eventually. There are just too many things on the ground to process and it kinda detracts from being able to spend graphic resources elsewhere. This will be a welcome change. It had been discussed elsewhere about Imps being able to carry more items as they level which I think is still a good idea to apply here. Several means of speeding up transport have also been hypothesized one of my favorites was the suggestion of mine carts on rails, and then there was the animal transports, and a cart. While those all sound cool, sometimes the simplest solution is the best one. I'm interested to see how well these backpacks do, can't wait! Indeed, seems very streamlined, I'm eager to see how it works. I wonder will there be added an additional slot in creature equipment menu for backpack - so this backpack will serve as equipment item or will it occupy armor slot or it won't be count as equipment item - so it appear on creature suddenly when it start gathering resources? 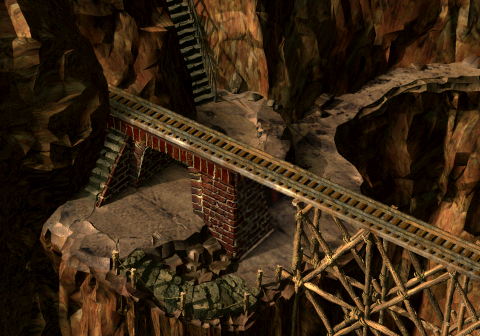 I think that idea could really work good, no need to make complicated railways, carts or having Imps that can gather more if they level up - but who knows maybe cart system could work additionally - connected to storage room from a big field, so creatures could just throw everything to a cart from backpack, so we could experience different really big dungeon rollercoasters built in the underworld. I am usually hunting for the simplest solution that interfere as little as possible with the other game mechanics. Because the game has enough features already for it to be to easily complicated. Right now the imps, rogues and orcs can have a backpack because they are the only creatures that do any digging. The backpack is not there all the time, it is only rendered when they are carrying more than one item. It works like this, when a block get excavated, all the items that should have fallen to the ground from that block instead get moved to the creature so that he "owns" it. When the creature own more than one item the backpack gets rendered. Now, as the creature is holding lets say a rock in his hand he will automatically prioritize delivering that rock to a room over all else. Once he has dropped the rock to a room and get his hand empty, the backpack does a check. 1. If the creatures hand is empty and the backpack contains item, then move item from backpack to hand. 2. If creatures hand contains an item, then deliver it to a room. 3. Once an item has been delivered, then go back to step 1 and check the backpack. I want to add here that if there of some reason are items out there like from a chest or something the creatures can pick up 6 items at once from the same tile and use the backpack in the same way as shown above. Good odls bags I hope that goods inside will fall on the floor in case creature carrying it fall in battle. It wouldn't be good if they disappear together with a bag. This actually sounds pretty well. Like that notion of it, and glad to hear it will most likely be in. Makes storage trips a lot less when excavating; which I would think frees up a little bit more tasks for them to do next. making it a smoother process and look nice too.